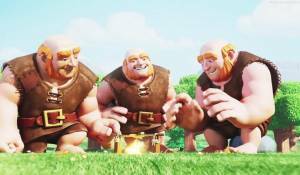 We have 525 questions and 646 answers for Clash of Clans. Check them out to find answers or ask your own to get the exact game help you need. Can we change our name without gems in clash of clan. How to find my gmail address by using my ID #2UQPCLV2..
How to get my verification code? Very fun game, I do think Supercell should add more troops in the dark elixer area and they should.. I love this game but it forces you 2 buy privileges like gems and gold and cheats and short cuts. .. The game helps relieve stress of otherwise a very demanding day and it is fun to have an active co.. This game involves online communication and war you raid and you will get raided all your stuff wi..
How do I get unlimited gems? Which Troops to Upgrade in Clash of ..